Seamus Heaney’s work showed us the wonder to be found in the ordinary, in everyday objects and in the quiet beauty of rural Ireland. But his poems spoke to the whole world, earning him millions of devoted fans. He travelled a long way, from his childhood on a small farm in Northern Ireland to acclaim as one of the world’s greatest poets. By the time he won the Nobel prize for literature in 1995, he was one of the most beloved names in poetry, praised by the judges for his "works of lyrical beauty and ethical depth, which exalt everyday miracles and the living past". And in his home place, Bellaghy in County Londonderry, an exciting visitor centre, Seamus Heaney HomePlace, celebrates this wonderful wordsmith's life and legacy. I rhyme to see myself, to set the darkness echoing. 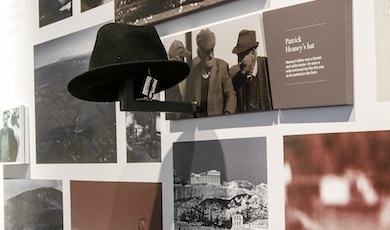 Housed in a former police station, Seamus Heaney HomePlace honours the poet’s brilliance with all kinds of creative and literary events, video recordings from friends, world leaders and, of course, the dulcet voice of the poet himself. Photographs and memorabilia bring to life this warm, witty man. And if you wander inside the replica of his study – the place where many of his words were put to paper – perhaps you’ll be inspired, too. 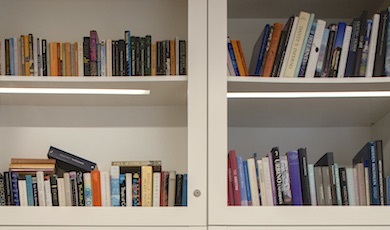 Piled high with books, folders, photos and an incongruous fax machine, this was Seamus Heaney's attic refuge, where he created some of his most beloved works. 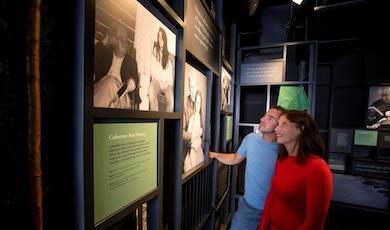 Use the interactive video wall to see and hear how the poet is remembered by family and friends. And discover the everyday items he celebrated in his work. There's always something to look forward to! Enjoy theatre, music, song, poetry readings and talks inspired by Heaney's life in the Helicon performance space. The land around the village of Bellaghy fuelled Heaney’s imagination, no matter how far away he travelled. This little corner of Northern Ireland, east of the Sperrin Mountains and north west of Lough Neagh, with its bogs, rivers and fields, nurtured a genius. Heaney might have lived and worked far away as the years rolled on, but his heart remained in Bellaghy and the surrounding area, and he is buried there, in St Mary’s Church under a simple gravestone of Kilkenny limestone. These gentle lanes and rolling fields inspired poems such as Digging, Blackberry-Picking, and Follower. 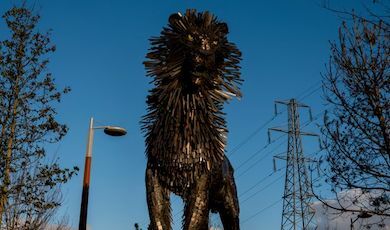 His work is steeped in the love of people and of the countryside, and around Bellaghy you can visit the places that meant so much to him and featured in his work. Head west from Heaney's homeplace and you'll find an ancient walled city where the Wild Atlantic Way meets the Causeway Coastal Route. 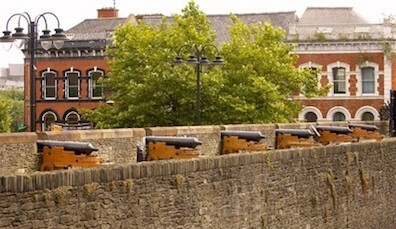 With its vibrant cultural scene and fascinating history Derry~Londonderry always inspires. 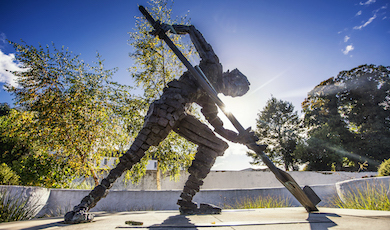 Led by the owners of Laurel Villa, a charming Victorian boutique B&B in the town of Magherafelt, this unique tour of the places associated with Heaney's life and work offers unrivalled insights to lovers of poetry and nature alike. 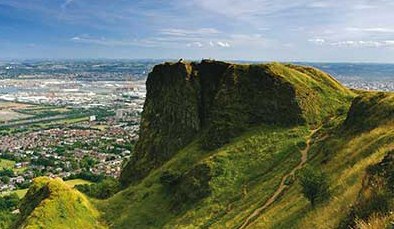 An hour's drive from Bellaghy is Belfast, with its own fascinating literary heritage. Author CS Lewis was born here and in the city's CS Lewis Square, you'll find statues of characters from the Chronicles of Narnia, celebrating his much-loved work. 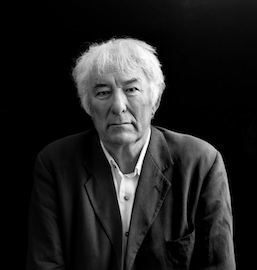 Seamus Heaney moved to Dublin to teach in the 1970s. 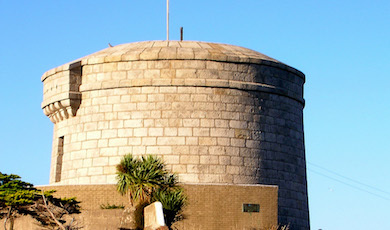 He lived in Sandymount for decades (“near a famous strand”, as he put it, referencing James Joyce’s Ulysses) and travelled to America and Britain to lecture, until his death in 2013. In honour of this beloved poet, an exhibition "Seamus Heaney: Listen Now Again" is hosted in the Bank of Ireland Cultural and Heritage Centre on Dublin’s College Green (from 6 July 2018). The National Library’s collection of Heaney’s original manuscripts, along with letters, diaries, photographs and unpublished works will also be on display. College Green, in the heart of literary and social Dublin, is the perfect setting for a very Irish writer who loved company, family and the land of Ireland – and somehow turned those into words of universal beauty. 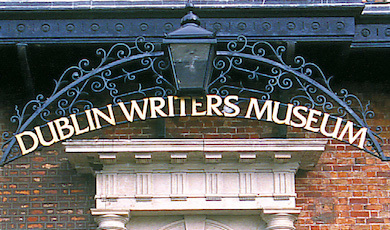 In a stunningly restored 18th century house in Dublin, you’ll find all you need to know about the giants of Irish literature. Love literature? Here are 9 great attractions to enjoy during your visit to this UNESCO City of Literature. 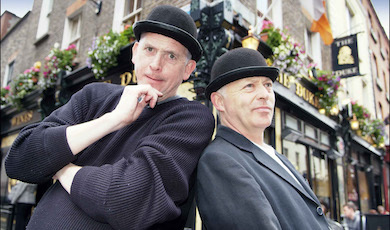 Part street theatre, part walking tour, this is a fun way to discover some of Dublin's most iconic pubs. 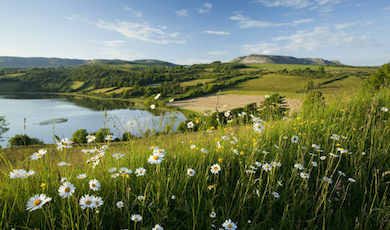 Take a journey through Ireland and see where one of Ireland's greatest poets, WB Yeats, found inspiration. 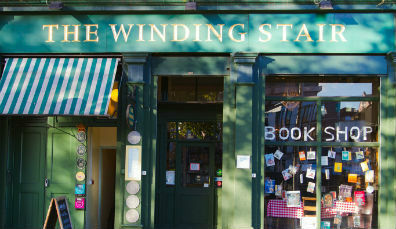 Immerse yourself in Joyce’s Dublin for a riotous celebration of the author's masterpiece, Ulysses. There's a reason so many of Ireland's creatives stars have taken inspiration from the landscape around them.